Sadie Benning came to prominence as an artist in the 1990s. Benning’s early work combines video, performance, and music to explore gender and sexuality through their representation in popular media and culture. Through Benning’s recent work, which combines painting, sculpture, and photography to create alternatingly abstract and iconographic images, Benning confronts the distinctions that give way to power, particularly as it relates to systems of belief. Benning’s work is held in many museum collections and was recently included in “Greater New York,” MoMA PS1; “Painting 2.0: Expression in the Information Age,” Museum Brandhorst, Munich and MuMOK, Vienna; “The Carnegie International,” Carnegie Museum of Art, and “Tell It To My Heart: Collected by Julie Ault,” Kunstmuseum Basel and Artists Space. This fall, Benning will mount solo exhibitions at Kaufmann Repetto, Milan; the Renaissance Society, Chicago; and Air de Paris, Paris. Danh Vō is an artist whose lauded series of sculptures, collectively titled We the people, consists of full-scale facsimiles of New York’s Statue of Liberty, was initiated in 2010 and continues to be exhibited around the world. Vō’s work has been presented at the Museo Jumex, Mexico City; Nottingham Contemporary, UK; and The Kitchen, New York (all 2014). Vō was the recipient of the Guggenheim’s Hugo Boss Prize in 2012. He is represented by Marian Goodman Gallery in New York and London, where “Homosapiens” was on view in 2015. Ault reflects on being honored at Triple Canopy's 2016 benefit, and on choosing between a small town with a Main Street and a cabin in the woods. A close friend once told me, “I would write an amazing eulogy for you if you died.” I asked him to go ahead so I could know what he thought, but he hasn’t yet. I think now I can tell him to forget it. OK, so I know this isn’t that kind of memorial. But there’s a resemblance, with the framing and stocktaking and recognition, which, despite contemporary intent, bear a sense of culmination. This entire enterprise and the multivoiced range of contributions—from magically conceived artworks, to the stunning program and its generosity of offerings, to this beautifully designed gathering, to inspiring presence and words—is such a profuse honoring of ideas and involvements. Honestly, it’s redundant to be honored when the honor happens all along the path of practice, amid exchange and shared purpose and the many collaborations I have had the pleasure to be part of, and look forward to continuing. I’m moved by the reflective encouragement that being honored stimulates, and extend hearty thanks to one and all involved. Linking my work to Triple Canopy’s undertaking is yet another privilege; that the circles and communities I am part of are put to symbolic and material use, to fertilize models of networked practice and dissemination, which broadcast fresh voices and form new communities. Across age group and other false boundaries we find affinity conjoining art and writing and creating new spaces for reading and viewing. Little is more generative than true affinity. 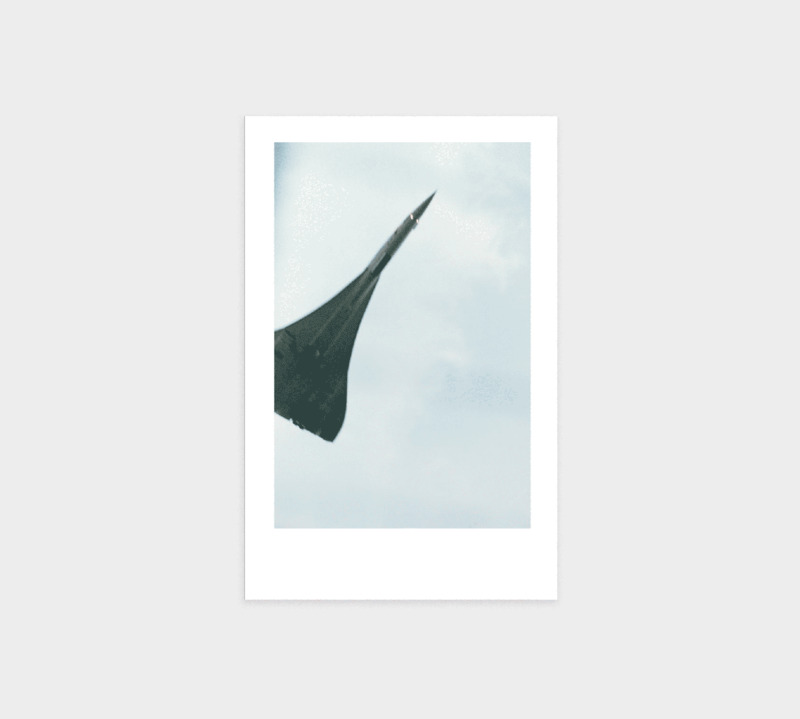 Cover image by Wolfgang Tillmans. This is the program booklet (hold up). I am happy to see that the cover photo of an obsolete object is not of me. In my experience, connecting disparate cultural materials is purposeful articulation that activates dimension. While the Internet promises instant access to everything, and appears to democratize information, Internet technology also renders juxtaposition and layering into mechanical, often hollow gestures. The infinite superimposing built into the technology, and the placelessness that can produce, is as vacant as it is fertile. I conflate this automation with the rapid, ever-morphing flattening of New York City. The New York that lives in my mind and body is a dense, extensive accumulation of interacting experiences over forty years, which simply will not square with the current version of New New York—a steamroller, clearing and flattening, killing its own roots in the process, and achieving ever-new extremes of displacement and replacement. For years I’ve been at the end of my rope with this over-stimulating, too-much-ness of a city, but for the same reason, New York as a field of consequent action continues to rope me in. Dear Julie, Good Question! Portland is a very nice place. For years it has reminded me of the place Pinocchio and his friend are taken to early in the story; the place full of everything they dream of; the place that eventually causes them to transmogrify into donkeys. This is probably sour grapes on my part; Portland is the opposite of New York City in that people seem to work in order to support their identities rather than to create their identities. And there’s time and resources to just be. New York has seemed to me to increasingly squeeze out anything resembling freedom of choice. Still, Portland is a city; a mass of people who have to compromise to live together peacefully. If you want to explore the more fucked-up in you, your best bet is the cabin. Plus it will be easier to prepare for the apocalypse there. OK, that was eight years ago, and Oldham couldn’t have known what kind of sociopolitical landscape we would be in now. But I’m glad I got the cabin. My cabin is located on government-administrated land in an eco-region of rainforest inside a conifer forest. The area was designated “no-cut forest” in the 1920s. “No cut” insures that the natural environment continues with minimal interference. Whatever dies stays where it falls. Gigantic trees topple over and are left as is. (If a fallen tree blocks the road, an opening just big enough for vehicles to pass can be cut.) The forest is incredibly dense. Mosses wrap around and hang from the trees. The ground is a buildup of organisms of all stages of life, intertwined growth and decay that form an endlessly fascinating, spiritually fortifying, and utterly chaotic flow. Always interested in flow, I move primarily between the geo-cultural triangle of downtown New York, the relatively barren Mojave desert in California, and a grove of old-growth forest in Oregon. Each place is a particular context, variously generating ideas, solitudes, dialogues, projects, friendships, histories, communities, and distinct versions of physical and mental well-being. Together they form a home. This multi-setup insures I don’t yearn for somewhere I’m not, and the circulation keeps me engaged and heterogeneous. It’s unlikely I will ever become mayor of New York, but if I do, I will declare the city a no-cut zone, put a moratorium on construction, and cede the entire municipality to the native tribes who were here first. Cathy Park Hong delivered the below remarks at Triple Canopy’s 2016 benefit, which honored artist, curator, and writer Julie Ault, as a reflection on Ault’s influence and how her work might serve as a model for artists in the United States in the wake of the election of Donald Trump as president. Tuesday morning, I told my two-year-old daughter we were going to have our first woman president, and then Wednesday morning, I woke up to the surreal announcement that Trump was our president-elect. Like most of you, I was dazed with despair, grieving for our lost future and fearful of how Trump will undo our civil liberties. Since then, I’ve had countless conversations about how we need to take action as American citizens. Less pressingly, but just as importantly, we in the room may also ask ourselves what our roles now are as artists, writers, editors, and curators in this era of Trump. Art, as the saying goes, is a mirror to our society because it bears witness to our darkest periods. But the New York commercial art world has become a pocket mirror to the elite collector. Rather than being informed by history, the artist’s decisions have been informed by market prices. While Black Lives Matter protesters closed freeways in Miami, revelers drank champagne in Art Basel Miami. To paraphrase Janet Malcolm, art has ceased being the conscious of culture in order to service its id. If we are looking for models of resistance for today, I cannot think of a more relevant and necessary artist to honor today than Julie Ault. She is a brilliant beacon of commitment, intellect, and heart. She is exemplary of an artist whose mission was building relationships outside of institutions. Her collaborations, curatorial work, writings, and advocacy are a blueprint for the versatility needed to be an artist today. We are artists not just by the objects we make but by the communities we build, the work we advocate, and the activism we participate in. If this frightening period won’t challenge artists to break out of the castle, I don’t know what will. Many museum curators, dealers, and gallerists have played to their collector base and their board members, maintaining the systemic inequity that has egregiously favored white male artists. If we are to only look at statistics of artists represented in solo shows and artists who have risen to megastardom, one would be forgiven for thinking the New York art world doesn’t reflect this city’s diversity so much as it reflects the constituency of Trump’s America. We, in the room, may not be the power players, but we are still the cultural elite, and we have the choice to continue making the same work that we know will sell, and selling the same work we know will sell, and buying the same works we know will sell for more later. Or we could choose not to. If artists feel futile, start by saying no. Reject the role of the rook. Normalize this culture of refusal, so that when you say no, you know that the next artist will not say yes. In the next four years, we may not move forward, but we can obstruct those assholes from dragging us backward. This will be done through activism, but it can also be done through culture. Artists have the power to agitate consciousness and change our perception of the world, but their visions must be supported by curators and gallerists who can represent them and the collectors who can invest with their conscience and not by what’s profitable. Julie has been an inspiration. Since Group Material, she has continued to commit herself as a writer, editor, and curator, in her eloquent essays and advocacy for artists like Martin Wong, Félix González-Torres, and the protest artist Sister Mary Corita Kent and in her curated shows like Macho Man, Tell It to My Heart, which prove that art need not be a luxury product but part of a gift economy among friends and marginalized communities. Her radical and humane projects shine a light on how we can build our movements today. Hernández reflects on the life and work of Julie Ault at Triple Canopy’s 2016 benefit. In the early 1980s, Julie and the artist Doug Ashford were involved in the Artists’ Call Against US Intervention in Central America. This was a campaign to “raise consciousness and funds in support of popular movements” in the region. As most of you know, Julie and Doug were part of Group Material, a collective formed in 1979 at the proposal of artist Tim Rollins. The Artists’ Call campaign involved many people and materialized in a range of programs held in nonprofit spaces and commercial galleries alike. One of the projects presented in that effort was Group Material’s 1984 exhibition at P.S.1, titled Timeline: A Chronicle of US Intervention in Central and Latin America. As was the case with the collective’s later and more widely known AIDS Timeline (first done in 1989), this P.S.1 installation juxtaposed art with material culture and political events, as well as with commodities like coffee and bananas, because, as Group Material stated then, “the desire and struggle to acquire these [were the basis] for much of the oppression in the region.” That was a matter of fact. To date, this Timeline continues to be discussed in Latin America, and it was actually the framework for a recent exhibition at Tate Modern in London, co-organized by Teoretica in Costa Rica. It mattered. Art. Economy. People. Their relationships. Their visibility. Their struggles. Their well-being. Their joy. These mattered. And these have been precisely the matters that Julie Ault has cared about. Making visible and sharing publicly are key features of Julie’s work. But perhaps what most characterizes her work is how she approaches subjects and materials; how she draws relationships between them, bringing them closer. I am referring here to the care with which she responds to questions around proximity and timeliness, and to the thoughtfulness she gives to subjective and objective knowledge, without subduing one or the other in the process. I am referring, then, to the emotional dimension of Julie’s work, to her ways of working, to the workings of her experience. More than once, Julie has raised the question of the privileges of firsthand knowledge, and of the responsibilities that come with it. She has put into question personal narration, without removing her heart or hushing intent, and she has listened attentively to the testimony of others and has mined archives deeply, while being mindful that these may also be regarded as “false evidence,” as it was noted to her once by Marvin Taylor, another of her collaborators. Julie’s work is finely knit with a thread of affection that is rare in our times. This thread is made up of singular strands of artistic gestures and communal experiences. And with it, she has been able to weave a social fabric, interlacing the life and work of artists, their ideas and communities, and, most important, their values, regardless of whether these have been contentious to hegemony. Her work, this social fabric, always feels intimate. It is personal. But no less is it publicly embodied. Social fabric is ultimately culture. As you know, a new culture war is impending. Shall we hope for—or expect—peace in the next couple of years? I think not. Maybe this is a time for more symbiotically aligning our artistic interests with our working processes, so these come to terms more honestly with our political tenets. This is the one conciliation that is worth entertaining now. And for that reason, this is a time for coming together, for working collaboratively, for reaching out to others, and for lending a hand to strengthen our social fabric—as Julie Ault has so effectively and affectively done with art. Thank you, Julie, for the inspiring work you’ve done and continue to do, and for having accepted to be honored by Triple Canopy, which I feel is inspired by your sensibility, your political awareness, and the long-standing collaborations you’ve catalyzed throughout the years. Tonight, we are here to celebrate the profound affection your work conveys. It matters. It has always been moving. And now, it is exemplary to the work that lies ahead of us. We’re pleased to announce that Julie Ault will be the honoree at Triple Canopy’s fall benefit, which will take place on Wednesday, November 16, 2016. Please join Triple Canopy’s editors, Board of Directors, and Publishers Circle for cocktails, a seated dinner, and various celebrations of Ault’s extraordinary contributions to cultural life in New York and beyond. Curator and writer Sofía Hernández Chong Cuy will join poet and critic Cathy Park Hong in making remarks. Artists Sadie Benning and Danh Vō will create editions for the occasion, which will be available for preview and purchase by ticket buyers. A number of writers, artists, and friends will contribute to a special event program featuring cover art by Wolfgang Tillmans and a biography by Alejandro Cesarco, including Fareed Armaly, Doug Ashford, James Benning, Jonathan Berger, Antonio Sergio Bessa, Nayland Blake, David Breslin, Andrianna Campbell, Moyra Davey, David Deitcher, Thomas Eggerer, Hu Fang, Juan Gaitán, Lia Gangitano, Jim Hodges, bell hooks, Roni Horn, Steffani Jemison, Branden Joseph, Isaac Julien & Mark Nash, Ted Kaczynski, Prem Krishnamurthy, Rachel Kushner, Zoe Leonard, Lauren Mackler, Lara Mimosa Montes, Christopher Müller, Lawrence Rinder, Tim Rollins, Andrea Rosen, Felicity Scott, Sarah Schulman, Matthew Shen Goodman, Jason Simon, and Marvin J. Taylor. Asterisk indicates current or emeritus member of Triple Canopy’s Board of Directors. Special thanks to Marian Goodman, New York, and Susanne Vielmetter Los Angeles Projects for their generous support. Unable to attend? Consider making a tax-deductible contribution.